As far as Accounting for ‘Operating Lease’ concern, under current FASB rules, a company can classify a lease as ‘operating lease’ if the lease period is less than the useful life of the asset and the lessor retains ownership rights and risks. Costs associated with such leases are treated as operating expenses. Capital leases, in contrast, cover long-term use and confer ownership risks and benefits. They are treated as debt. FASB, has proposed take ‘operating leases’ out of the footnotes of financial statements and placing them squarely on corporate balance sheets, a change that would increase debt levels and reduce reported earnings at many large corporations. Final rules are expected from FASB by year end, and could affect companies beginning in 2013. It also might alter return on assets and debt-to-equity ratios, says Dwayne Shackelford, principal at Huntley, Mullaney, Spargo & Sullivan, a real-estate and financial-restructuring firm. Collectively, companies in the Standard & Poor’s 500 have at least $549 billion in operating leases, estimates David Zion, an Accounting Analyst at Credit Suisse, as it is cited by Barrons.com (a WSJ’s subsidiaries). FASB’s proposal would consider the present value of all operating-lease payments and financing costs as debt. 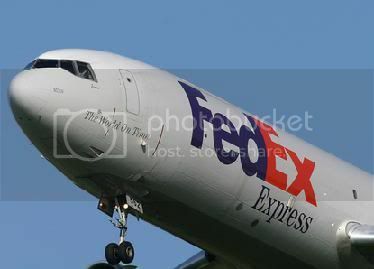 To understand the impact of the possible rule change, consider the balance sheets of FedEx and United Parcel Service (UPS). FedEx finished its latest reported fiscal year (ended May 31, 2010) with $1.93 billion of debt, equal to 7% of its market capitalization. UPS, whose fiscal year ended in December, had $10.8 billion of debt, equal to 15% of its market cap, according to HOLT. If both companies were forced to add operating leases to their balance sheets, however, total debt at FedEx would jump to $16.3 billion, or 56% of the company’s market value. Debt at UPS would edge up to $16 billion, or 22% of its market cap. *Debt and operating leases as of 5/31/2010. **Debt and operating leases as of 12/31/2010.